A baby sleep sack is a wonderful way to keep a sleeping infant warm. Especially during the winter months, sleep sacks provide an excellent alternative to blankets and comforters because they provide the warmth the environment requires without posing safety issues of loose items in the crib. For warmer months, very lightweight sleep sacks provide the same cozy feeling as a winter version, without overheating the baby. What Is a Baby Sleep Sack? A sleep sack resembles pajamas or overalls on top and on the lower half of the body resembles a long gown that extends beyond the child's feet. This bottom half is closed, hence the allusion to a sack or bag, ensuring that your child stays warm while she is sleeping. Sleep sacks come in many varieties, with sleeves and without, and can zip either along one side and the bottom or zip right up the middle from the neck down to below the feet. Materials vary in order to provide the right amount of warmth for the season; winter sleep sacks may be made from fleece, wool, down, or heavy synthetic materials. Summer sleep sacks are usually made of cotton. The following retailers offer a selection of baby sleep sacks in various fabrics and several price ranges. Baby Sleep Bags carries several different types of high-quality sleep sacks sized either 0-2 years or 2-4 years. While these bags are on the pricey side (upwards of $100), they are of premier quality and materials (merino wool). Albee Baby has been offering quality baby products since 1933. Now online, Albee offers a wide variety of quality sleep sacks. The DwellStudio line has several appealing designs, and the Body Breathe wearable blanket is designed for ultimate comfort for your baby. Add a sleep sack or two to your registry at Albee, or order a sack of your choice; free shipping is available on orders over $100. Aden +Anais has a wide variety of sleep sacks, ranging in fabrics and levels of warmth suitable for different seasons. But individual sacks for around $30 in an impressive assortment of patterns and colors. Retailer giant Amazon has a large inventory of baby sleep sacks for sale, ranging in patterns, materials, and price. Sacks start as low as around $7 and up. Target is an affordable store for sleep sacks, with prices as low as $10 to $15 for some sleep sack models. Several different fabrics and designs are available. Order online (free shipping over $50), or choose from available in-store stock, which varies per store. Sleep sacks are often advertised as a (partial) solution to infant mortality during sleep. 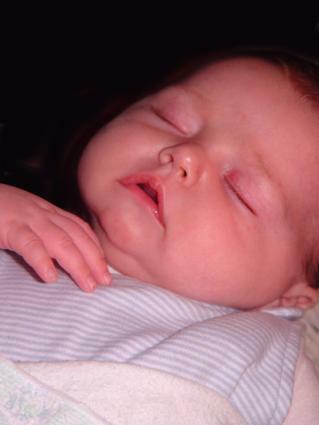 SIDS (Sudden Infant Death Syndrome) is a terrifying syndrome that haunts parents of newborns because it comes on suddenly and the cause cannot be explained by a medical issue (according to an autopsy) or an environmental aspect. According to the American SIDS Institute, two ways (among many others) to reduce the risk of SIDS are to not place any blankets or any other loose items in the baby's crib and to make sure the child is not overheated. Sleep sacks can help parents meet both of these recommendations because they eliminate loose coverings in the crib, and, if the right material is chosen for the season, they keep your child warm without overheating him. Wearable blankets can help you find the right amount of warmth for a safe sleeping environment. While a bedroom shouldn't be too hot, a cold baby is one who will often wake up in the middle of the night. Use a sleep sack in a fabric appropriate for the season to help your baby stay cozy warm, without getting too hot, and sleep peacefully through the night. Good, safe sleep contributes to your newborn's safety at home as well as the ongoing health and safety of older babies and even toddlers.